Trained to drive Reach Trucks in-house but left without a certificate when changing employers. You have used Reach Trucks for years but have never received any formal training. You have used Reach Trucks and hold a current or expired licence from abroad but do not have a UK accredited qualification. You have learnt to drive a Reach Truck many years ago but haven’t operated one since then. The Reach Truck Experienced Course can be conducted at our training centre or on-site at your place of work throughout the UK. We teach all of the basic skills and advanced exercises that form the foundation for safe Reach Truck operation and future conversion training. 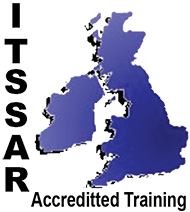 Our courses are accredited by ITSSAR, who are recognised nationally for Reach Truck Forklift Training along with all other types of manual handling equipment. 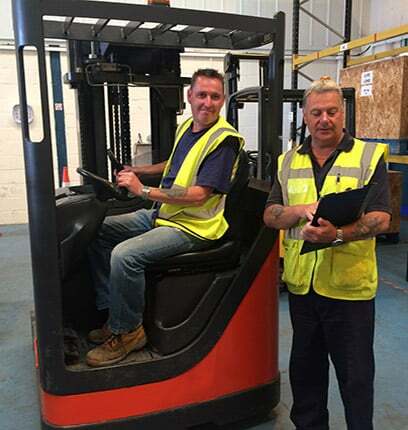 Reach Truck Forklift Training ITSSAR Accredited is available to businesses and individuals across West Sussex and East Sussex to include Chichester, Bognor Regis, Littlehampton, Worthing, Lancing, Hove, Brighton, Portsmouth and all surrounding area’s. If you are not sure if we cover your area please call us or use our contact form page as a member of the team are always happy to assist you. How old do I need to be to take the Reach Truck Experienced Course? The current minimum age to take the Reach Truck Experienced Course is 16 years old. What Reach Truck courses do you offer? 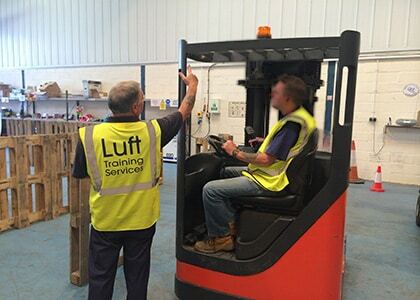 We set out to teach as much as possible on our Reach Truck Experienced course above and beyond the standard requirements, utilising our resources to their full potential and covering as many gaps in your operating ability as possible. You may also wish to conduct your Counterbalance Truck Refresher at the same time. We discount our refresher courses if you wish to sit more than one refresher at a time. Contact us to find out more.